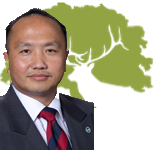 If fundraising is any gauge of running a successful city council campaign in Elk Grove, newly elected Council Member Steve Ly's 2014 fundraising has set the current standard. According to campaign finance documents filed with the Elk Grove City Clerk's office, Ly was able to raise $115,951 in cash and $36,118 in non-monetary contributions last year for his successful bid for the city's District 4 council seat. For the final report of 2014 covering October 19 through the end of the year, Ly raised $27, 593 in cash and $2,558 in non-monetary contributions. While Ly raised over $115,000 for his campaign, as of December 31, he had unpaid bills totaling $37,791. Among Ly's largest creditors are Capitol Campaigns and Ross Communications, both of whom are owed $10,000. Thank you Mr. Ly or is it pronounced Lie? You've clearly shown through your your contributors and how quickly you attended your first fundraiser put on by builders which of your constituents your most concerned about. Hmmm the last names Reynen and the other one Bardis. Man that sounds familiar, isn't their some shady dealings with a home builder with that last name and I think lawsuit with the city going on. Well I'm sure even if it's the same people Mr. Lie oops I me Ly will be completely unbiased in the way he takes action. You have shown time and time again that your journalistic professionalism is down the toilet more and more each day! Ly raised 115,000 but from the list above of total 24,500, 22,500 were raised POST election. What does that really mean? It means that 90,500 were raised by those LOWLY Hmong people all over the country. That is 80%. AND, that Ly is learning how to play the game. Again, imagine what this kid can do when he gets dollars from the big boys rather than pennies from the LOWLY Hmong community. IF you're going to play the game, you're gonna learn to play it right! Wow, I can see you live in the back woods. Your post just wreaks of racism against the Hmong. Pretty sad and disgusting. I'm not a Steve Ly fan (I am neutral - don't know him and haven't seen his politics yet). However, I had hoped that racist views like this one are in the past. Do I note some sarcasm in your voice? Regardless, like his contemporaries on the Council, Ly has a deft ability to campaign in one manner and legislate in another. He mobilized the troops to support him but is now operating for someone else. In my world we call these people double agents. A City by the developers, of the developers and FOR the developers! Increase in armed robberies, assaults and various street crimes. Home of the mailbox breakin. More sprawl, horrendous congestion and smog. 3,600 units of high density very low and low income housing on the way to "Meridian" (the Southeast Plan Area) - Hood of the future to be known as Mack Road South. Trash blowing in the wind,flat, bland, hot, windy sprawling, fast food joints, nail salons, gun stores, smoke shops, vape palaces, strip malls, cheap looking high density low income apartment projects, lack of symphony light opera and ballet, very few upscale restaurants, dollar stores, cookie cutter houses. No, Elk Grove brought to you by the rubber stampers. Stockton and Modesto have performing arts centers, orchestras and other cultural amenities. Stockton and Modesto have high quality local restaurants. Elk Grove has fast food joints, chain restaurants and convenience store cuisine. Bring on more garish 100 foot tall freeway signs, low income housing projects, liquor stores, fast food joints, shooting ranges, gun stores, smoke shops and nail salons. The major players at the local scene has been playing this game long enough. However, once you get an outsider who is learning how to play this game then some people cry wolf! Aren't all major players speak from both sides of their mouth? To be precise, they are all speaking from every angle of their mouth. That is their nature. You can call that double agents, triple agents, or you can call it "reality." Was Toastmasters on the contribution list? The only way this is ever going to change, and it has been said many times before, is for the voters to get enough signatures for a ballot measure to institute campaign finance reform. Yes, a majority of the Council was in favor of contribution limits when they were challengers, but not any longer. So we have no hope of what the City Council of the city of Downey did and enact campaign contributions limits by passing an ordinance. So folks, when you are ready to rally, count me in! I thought that was common knowledge!! Geez, how did your heads go there? Thought we were talking about Fundraisers. Try to stay on topic....take the trash talk somewhere else. Isn't there a pending lawsuit against the city by Reynen and Bardis? If so, boy, taking money from someone who is suing us...wow! This is what Elkgrovenews.net is about, reads like a tabloid. More Sting than the BEE, more bark than the Citizen, more trash than School Board appointment. OK so we have racist posts and bedroom behavior dirt. Wow, this thread has gone to trash. Let's hope there is more class with this site. Dan, hopefully you can guide people to be a bit better on here. Shut this piece of trash down!! It's ironic that you get a spike in readership whenever a Steve Ly articles appear, even though your reporting is clearly BIAS and your integrity is compromised. Why so sensitive about a reporting of a public document? The Ly camp better get used to the idea that the 460s are reported on in both the Elk Grove Citizen and Elk Grove News. The citizens of the city have right to know who is contributing and how much to the campaign accounts of the Elk Grove City Council and moreover, who is trying to influence them. So Ly camp, in the words of Gil Moore, get some “cojones,” and stop attacking people who have the right to comment on what monies the elected officials receive, including Steve Ly. Your thin skin is showing, and in politics, you will soon find out that it won’t fair you well at all. Earlier this evening the following comment was posted by an anonymous reader. Portions have been redacted to protect an individual from personal attack. “How dare you publicize somebody's affair. True or not, it is none of your business. How about your own .......? ......, Dan. And, please, don't ever put down the Hmong people again, especially Mr. Ly. He is a million times better than a white trash like you." From Dan Gougherty - For the record, the only person I am having an affair with is a 54-year old beautiful mother of four, Lola (grandmother in Tagalog) of eight. Yes, for all those interested in the tawdry details, we are having an illicit affair and loving every senior citizen AARP moment we have left on God's mostly green patch of Elk Grove, California! As for being White Trash, feel free to call me what you will. In the interest of accuracy, if you want to be more specific, feel free to call me a “Mick” “Paddy” “Green Nig@g#r”, or if you feel compelled to attack my maternal side, call me a “Dago” or “WOP”. For that matter, feel free to call my mistress a “Ho” “Mail-order bride” or the slur of your choice for Filipinos. Oh, by the way, since we are both confirmed, but non-practicing Roman Catholics, feel free to hate on that group too. Too bad one of us in not a Muslim, Hindu, Animist or Jew – you could spew your hate on those groups too. I suspect you would also be happy dropping an ethnic slur or two on anyone who doesn't march to your jack boot Nazi orders coming from whoever is your Fearless leader. But hey, that is America! We can all express our opinions even if they are like yours and mirror David Duke’s. Remember, I will defend your right to slam me and Elk Grove News. That is our constitutionally guaranteed right. One final note: Shannon, Crystal, un-posted Anon, feel free, that is if you have any degree of courage, and call me at 9 one 6, 753, 9 four 02 to discuss your problems with this site. I will keep your identify secret and not embarrass you more than you already have. Oh, by the way, I have you IP address so don’t be afraid – I already know who you are. I doubt you will have the courage though. May all the spirits bless un-posted Anon, Shannon and Crystal. Good for you EGN! I recall the nasty little comments from the 3 during the last election cycle. How proud they must feel defending their guy. And boy did they get you....(Please get us a sarcasm font!). They really do seem to speak to their own character, as well as that of Mr. Lie. Yes, I called him Mr. Lie. He lied to the citizens of Elk Grove when running for the School Board and many, many will never forget that. I'm glad you captured their IP addresses. But, I think I should point out that they have given away their true identity in their postings here, as well as various other communications/email/postings in other areas. Not as smart or politically savvy as they are wont to appear to be. This site is really an Elk Grove Inquirer of sorts...the author admits openly to having an illicit relationship. Meaning - either he is married or she is married. Somebody help me understand. Does the author have kids? Does he not care about how they feel about this admission of an illicit affair? I don't think the author was admitting to an illicit affair. I think this was tongue-in-cheek. As has been mentioned, a sarcasm font needs to be invented! My take is that Crystal, Shannon, etal, (all names that have appeared here during the election is my memories serve) are like monkeys at the zoo, fling their own poo; meaning racial slurs, epithets whatever at the author. As has been shown in the past, and proven to be true, the obvious manifestation of a weak, guilty and soiled mind. I commend the author for publishing his telephone number and inviting Crystal, Shannon, etal to call him directly to spew what has apparently been racial, hatemongering speech to him directly. I think it's pretty apparent from the author's comment just exactly what has been said. I also believe the cowardice of Crystal, Shannon, anon is apparent, as I'm fairly sure that if in fact they had contacted the author it would have been noted here. You may compare this site to the Equirer. However, you are here and you're commenting. It is the comments that may give you the impression. EGN has a few rules regarding leaving comments, but for the most part leaves it open. Some choose to engage in relevant conversation while others do not. Individuals like Crystal, Shannon and the reference anon make no valuable contribution here and, I suspect, no valuable contribution to society as a whole. That type are like hermit crabs; they only pop out to spew poo and scurry back inside. They believe they are protected, but as the author pointed out, he has IP addresses and it is really easy in this day and age to locate the owner. They should consider themselves lucky that the author appears to be a person of integrity who has decided to not reveal the actual identities of the poo flinging monkeys!